Dragon Age: Inquisition players have a new single-player advenure to embark on today. The Descent will take players into the Deep Roads, Thedas' treacherous underground caverns. 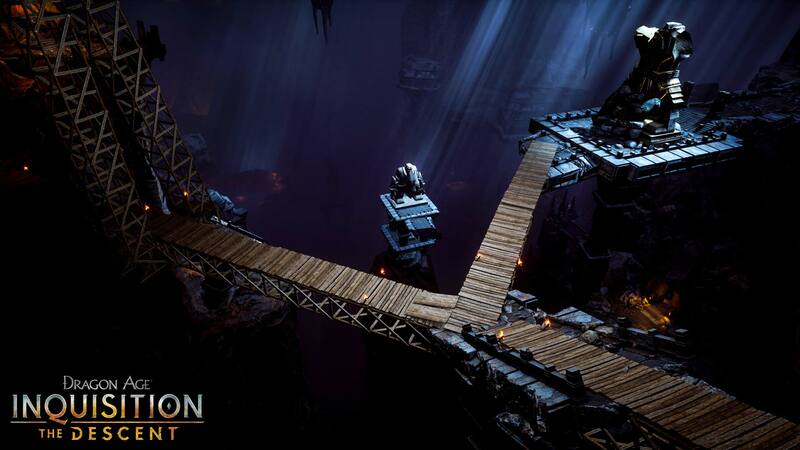 In Dragon Age: Inquisition – The Descent, players will venture deep below the surface to discover the source of mysterious earthquakes threatening Thedas. As the Inquisitor, players must prepare their companions for a perilous journey in the legendary Deep Roads. 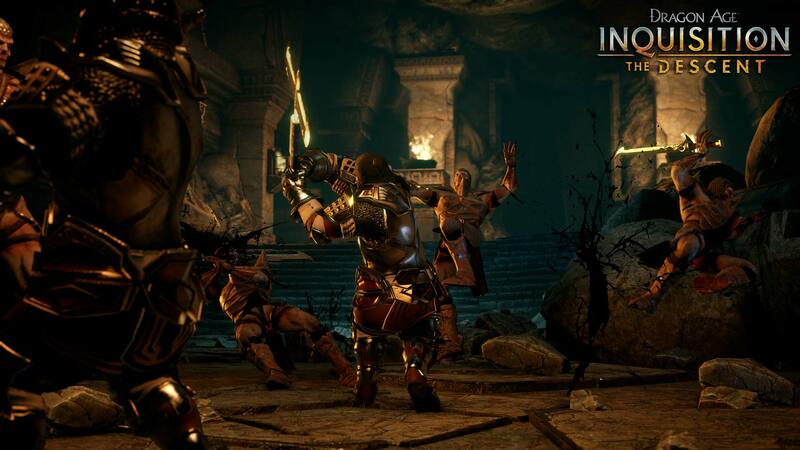 Darkspawn-infested caverns will challenge the Inquisition like never before. Memorable new characters will shed light on ancient dwarven history and unique loot and powerful gear will be discovered on each player's path to fight and solve one of Thedas's greatest mysteries. The Deep Roads were very narrow and drab-looking in Origins so I wasn't looking forward to a return trip. However, Inquisition definitely makes them look a lot more interesting. The Descent can be purchased for the PS4, Xbox One or PC version of Inquisition for $14.99. Xbox One owners with an EA Access subscription can knock off 10% of the price. BioWare previously announced that they'll no longer produce DLC for the PS3 and Xbox 360 versions of Dragon Age: Inquisition. On the bright side, the developers added a new save importer so you can carry your progress over from PS3 to PS4 or Xbox 360 to Xbox One. The transfer process involves bringing your party to the Black Emporium and then exporting them. Previous DLC packs such as Jaws of Hakkon can be re-downloaded on your new console for no additional charge.